For those of us who drive on the street, tire pressure probably doesn't get a lot of consideration. 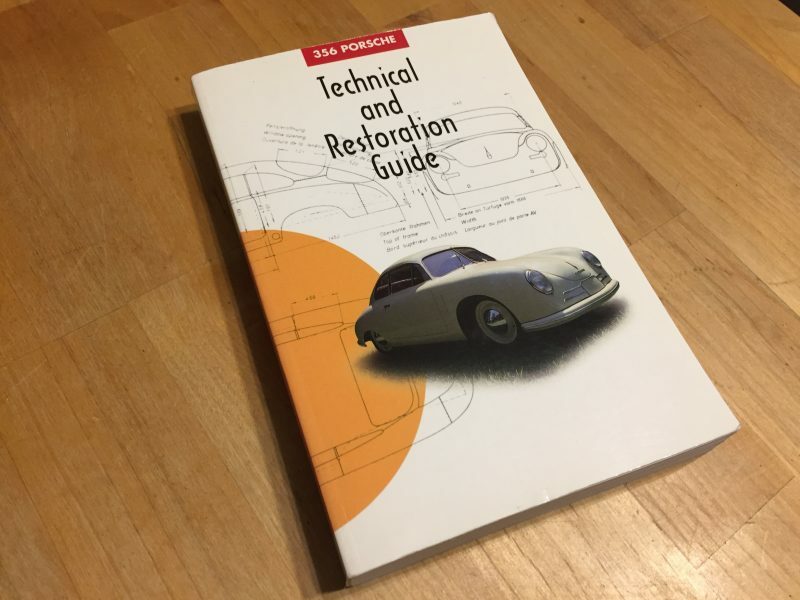 Porsche includes recommendations in the manual, and frankly, why not use them? Of course, when driving deviates from the daily grind, tire pressures become a lot more important. Whether using your Porsche for a track day, autocross, or road rally, more extreme situations than normal may require deviations from "normal" tire pressures. The video above from Engineering explained does a good job covering the fundamentals of tire pressure and performance in the dry and in the wet. The video also covers important points such as how temperature affects tire pressure, and how tire pressure can affect tire wear. The chart above is from the owner's manual for 2017 911 Carrera 2 models. Let's dive in to this chart a little. The 911 is rear engined, and runs a staggered wheel and tire setup, and this drives the tire pressure specification. The high percentage of mass over the rear axle requires greater tire pressure than the fronts for two primary reasons. The first is to carry the load of the rear mounted engine, and the second is to mitigate the oversteer inherent in the layout. Lowering rear tire pressure would increase oversteer, and increasing it further would increase understeer. The opposite tire pressure to understeer/oversteer relationship holds true for the front of the car. 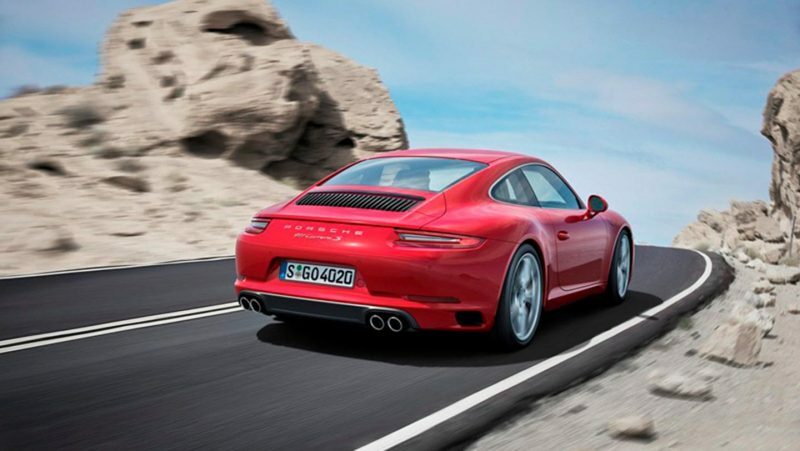 In a modern 911, the wheel and tire setup is entirely designed around bringing oversteer in line. In addition to the tire pressure differential, the 911 runs a much wider tire at the rear than at the front(this is true in both RWD and AWD models). In my case, this is no longer relevant because I am not running stock sized wheels. 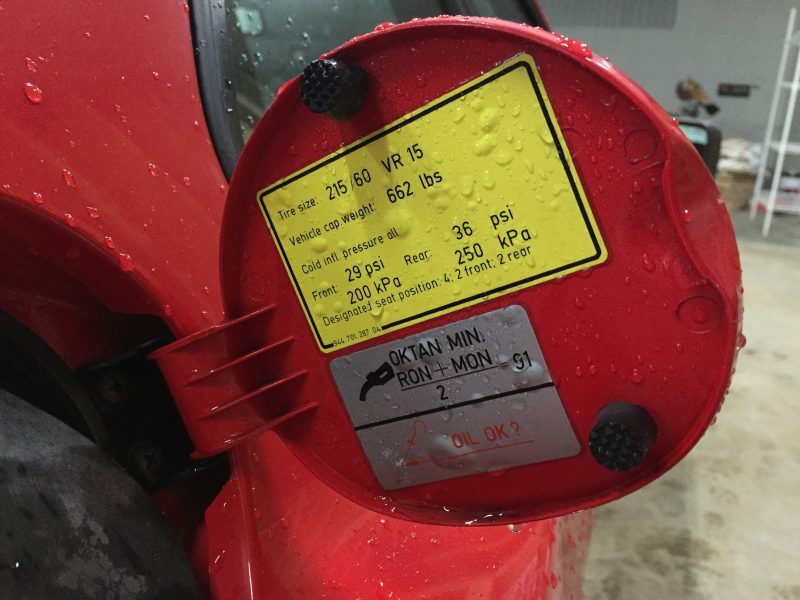 Porsche specifies a cold tire inflation number for all models. Into the 1990s, this information was generally on a little yellow tag under the fuel filler door, though it is also in your owner's manual. These tire pressures are designed to tame the cars' handling somewhat. In a stock, naturally aspirated 944 with the same size tire at all four corners, this was done by reducing the tire pressure slightly at the front end. Tire Rack has a helpful chart which helps to illustrate how several suspension setup changes, including tire pressure, can affect vehicle handling. Unlike a 911, a 944's mass is nearly balanced from front to rear. With equal sized tires at both ends, simply dropping tire pressures at the front will induce some understeer. While this will make the car more docile for inexperienced drivers, it is also easy to counteract simply by raising tire pressures on the front axle. To get the same net effect in a 911 requires both a differential in tire pressure and width. This is part of the reason early 911s have a much more well deserved reputation for tricky handling than later cars. Very early 911s use the same width tires front and rear. As time went on, the rear tires became much wider relative to the fronts, while weight distribution remained approximately the same. "... with this setup I usually run 36PSI in the front and 34(PSI) in the rear. The higher front pressure partially offsets the low speed understeer tendency, and, on a real tight course, I might drop to 33 or 32 in the rear in an attempt to get the rear to come around." So whether your Porsche is new or old, monitor your tire pressure for optimal handling! Tire Rack Guide to tire pressures for competition. Tire Rack Guide to tire pressures for winter driving. QUESTION? How does one calculate optimal psi for non-oem wheel & tire sizes? That’s a good question, and one that involves a bit of trial and error to get the correct tire pressure level for your application. I’d start by using the stock recommended tire pressure,* and then seeing how the car behaves. If you notice an oversteer tendency, you can always raise rear tire pressures slightly, for example. I actually wrote this article a fairly long time ago, and since writing it I have fussed with my tire pressures somewhat. The sway bar setup that is on Project 944 GTS is VERY aggressive, and I found that the car wasn’t behaving exactly to my liking. It was more tail-happy at low speeds, and after experimenting with the adjustable sway, I found that the middle position on the bar plus a slightly-higher than factory recommended rear tire pressure made the car as neutral as I prefer on the street. Unfortunately, the further from stock you go the more trial-and-error is necessary to find a balance that works. For the sake of safety I find it’s best to start with stock, and figure out what needs to change to make the car behave better. *Obviously if you started with a car that had staggered F/R wheel widths and now have a square setup, this might not be a helpful method. Great article on tyre pressures – thank you. One anomaly is with 993 tire sizes and pressures. I have a 1996 993 with 17 inch wheels. As described above, as a “newer” Porsche, it has much wider tyres on the rear. The interesting issue is that for 16 and 18 inch wheels, the factory recommends (much) higher pressures in the rear tyres v the front as per your article. However, for 17 inch wheels, they recommend 36 psi all round! Why is this? Every other (modern) 911 recommends markedly different front and back tyre pressures but NOT on 993s with 17 inch wheels!!!??? Simon – That is very interesting! I didn’t know that. I’ve not driven a 17″ wheel 993 back to back with a car equipped with 18″ wheels. Have you? I’d be very curious to hear how differently the two handle. I suspect, though I can’t conclusively confirm, that it has something to do with maintaining the stiffness of the sidewall. The rolling diameter of a 17″ wheel/tire on a 993 should match an 18″ wheel/tire on the same model. Since the smaller diameter wheel will need a taller(and likely softer) sidewall, the extra air pressure is likely just to help the tire maintain its shape. The 18″ wheel would have a smaller aspect ratio, and likely a more rigid sidewall.